The Canada Day weekend brought forth a busy weekend at Sauble Speedway for Spencer-Walt Motorsports that turned out very successful. Set for the next regular night of racing, Rick Spencer-Walt took part in a pair of Late Model features on Saturday. After starting up front in the first main event, he would battle back and forth with Jason Parker, ultimately coming up short with a runner-up finish. This would cause him to start from the back for the second, where he put on a clinic as he made his way to the front, taking the lead and victory. In the last four races, Spencer-Walt now has two wins and four top-fives. 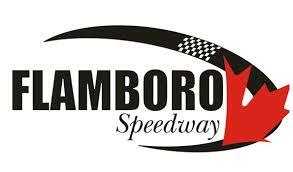 Sunday brought forth the second round of the Great Lakes Concrete Series at Sauble Speedway. With his victory at Spring Velocity, Spencer-Walt entered the event as the points leader. With the No. 31 Late Model still set-up on rails by the team, he was able to find his way to the front, taking the victory to extend his advantage. The third round of the Great Lakes Concrete Series takes on place on Thursday, July 12 at Sauble.